Turin: Juventus coach Massimiliano Allegri has labelled 11-time winners Real Madrid favourites for the Champions League final, but said the "optimistic" Italians intend on bringing the trophy home from Cardiff on Saturday. Fresh from securing a record third consecutive league and Cup double, Juventus are looking to complete a treble this season when they face Real in the Welsh capital. The 3 June final comes two years after a 3-1 defeat to Barcelona in Berlin in Allegri's opening season at the club – that was Juve's sixth defeat in the final of the competition, a record. Real, meanwhile, won the trophy in 2014 and again last season, beating city rivals Atletico in the final on each occasion. "We're optimistic, but it doesn't seem right to me that Juventus have been branded favourites because Real have won two Champions League titles in the past years," Allegri said Monday. "They're used to playing the final, as we are. We have to accept that they are the favourites." Asked how this Juventus compares to his side two years ago, he added: "There's more conviction. Since Berlin, we've grown a lot. Everyone, and that's reassuring. "We're in the eye of the storm now, and we're happy to be here. 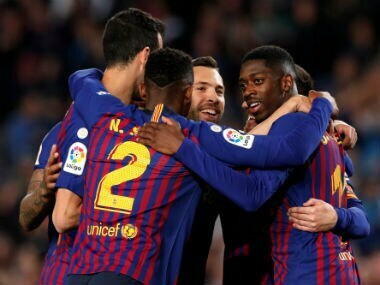 For me personally, getting to the final is a great joy. I will feel lucky when I sit in the dugout on Saturday." Asked if this would be the most important game of his career, Allegri said: "It's the second, the first we lost in Berlin. "This time we have to bring the trophy home, or, at least, create the conditions that allow us to." Juventus closed their domestic season on Saturday when teenage starlet Moise Kean came off the bench to hit a late winner at Bologna. Having finished four points clear of second-placed Roma in Serie A, and won a record third consecutive Italian Cup with a comfortable 2-0 win over Lazio, Juve are now looking to emulate Inter Milan, Italy's last treble winners in 2010 under Jose Mourinho. 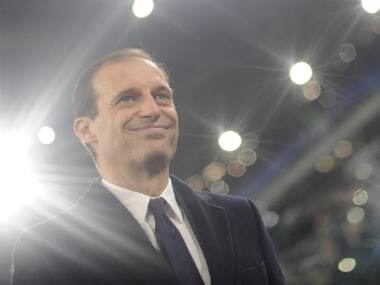 "Finishing on 91 points isn't easy, neither was winning the third (successive) Italian Cup, and it won't be easy to win the Champions League," Allegri said. "We're just missing the final piece, then we can go on holiday." Allegri has deployed a 4-2-3-1 formation in the second half of the season that has allowed Mario Mandzukic, Paulo Dybala and Juan Cuadrado to carve open opposition defences for Argentine striker Gonzalo Higuain. And while he remained coy on whether tactical changes could be made for Saturday, defender Giorgio Chiellini underlined: "When it comes to defence, all 11 players are involved. "The important thing is that everyone, from our strikers to our defence, makes sacrifices for each other." It will also be crucial, said Chiellini, for Juventus to avoid another tense start to the final that, two years ago, saw nerves creep in following a fourth-minute opener by Ivan Rakitic. 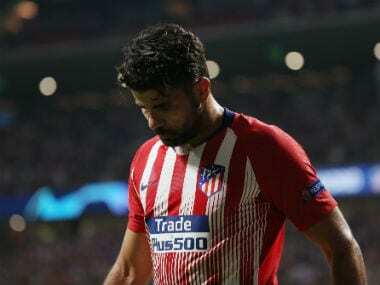 Although Alvaro Morata -- now at Real -- hit a 55th-minute leveller, a Luis Suarez goal on 68 minutes zapped Juve's motivation before Neymar hit a last-gasp third. Defeat "always leaves a trace," added Chiellini. "But that's a good thing. Two years ago, we had a really tense first half. When we had a chance to win it, we didn't respond. "That is an experience that can help us."